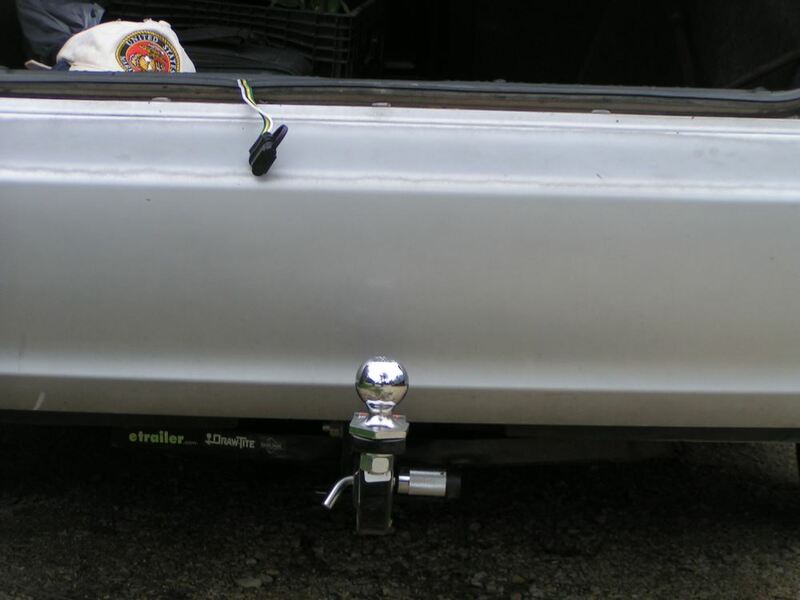 Corrosion-resistant ball mount is 11-1/2" long and fits 1-1/4" x 1-1/4" trailer hitch receivers. Ball mount can be used in the rise position only. 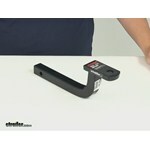 Call 800-298-8924 to order Curt ball mounts part number C45023 or order online at etrailer.com. Free expert support on all Curt products. Guaranteed Lowest Price and Fastest Shipping for Curt Class I Drawbar - 3-3/4" Rise - 11-1/2" Long - 2,000 lbs. Ball Mounts reviews from real customers. 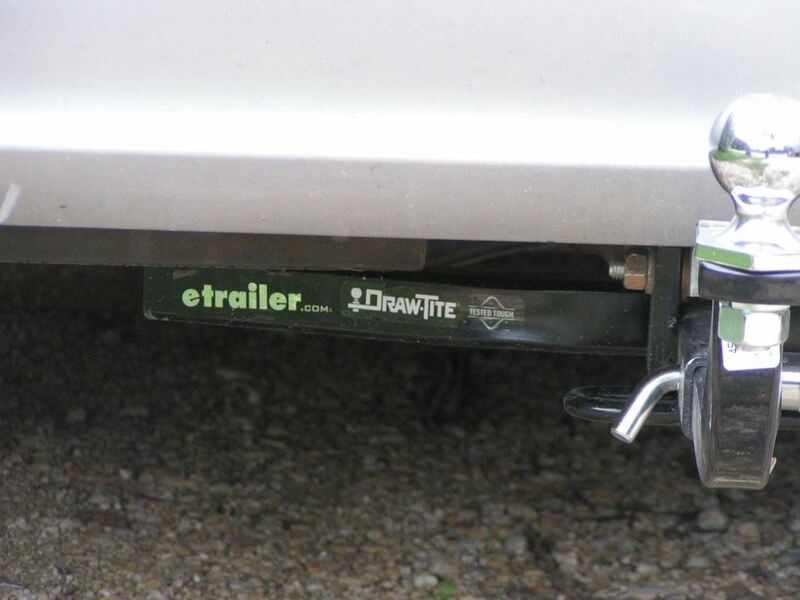 Corrosion-resistant ball mount is 11-1/4" long and fits 1-1/4" x 1-1/4" trailer hitch receivers. Ball mount can be used in the rise position only. Today, we'll be reviewing part number C45023. This is the Curt Class 1 Drawbar. It's made from a sturdy steel construction with a corrosion resistance and black gloss powder coated finish. It's going to stand up really well against rust and corrosion. 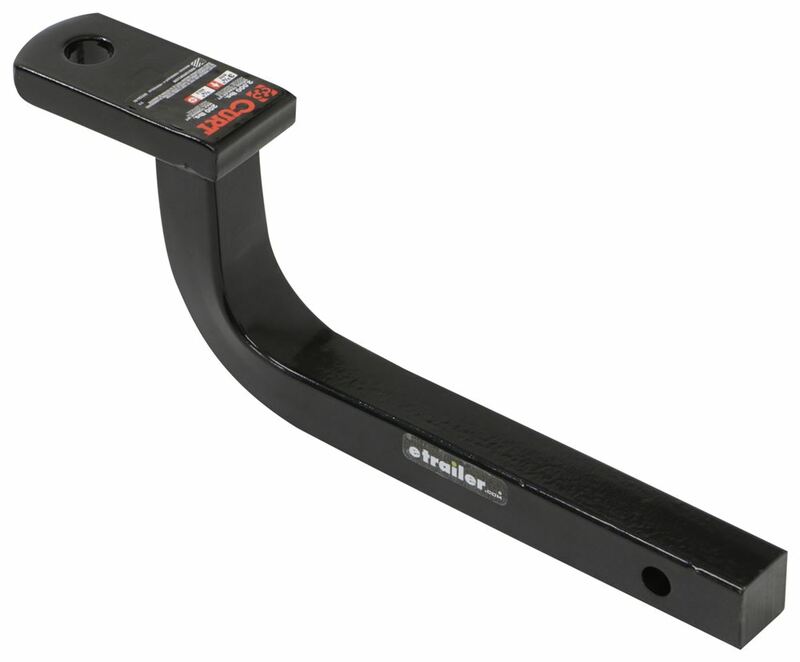 This drawbar goes through a high quality manufacturing process. It's CNC machined for strong, consistent cuts and welds. It goes through a 7 stage washing method. It's going to help deliver a nice, clean, smooth surface. The drawbar can be used in the rise position only, which is the position shown. It's going to offer a 3 and 3 quarter inch rise. 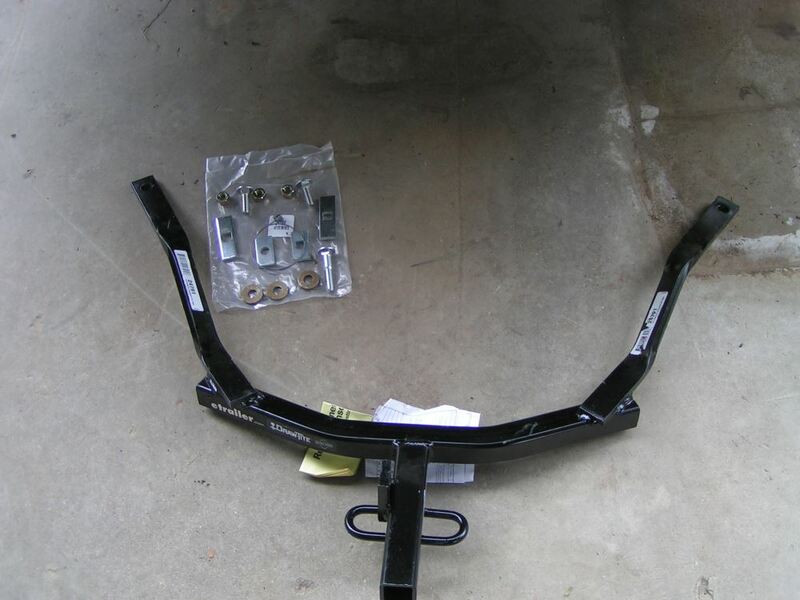 From the inside top edge of the receiver tube of your hitch, to the top of the ball platform. This portion here is going to be the portion that slides into your hitch. You're going to push it in until your pinholes are lined up with one another and then you'll need to install a hitch pin and clip or a hitch pin and lock. Those items are going to be sold separately. You're going to refer to our website to see your options. A great option would be part number PC2, that's going to be the half inch pin that comes with a clip. You can see here it's a solid piece. Nice solid shank. 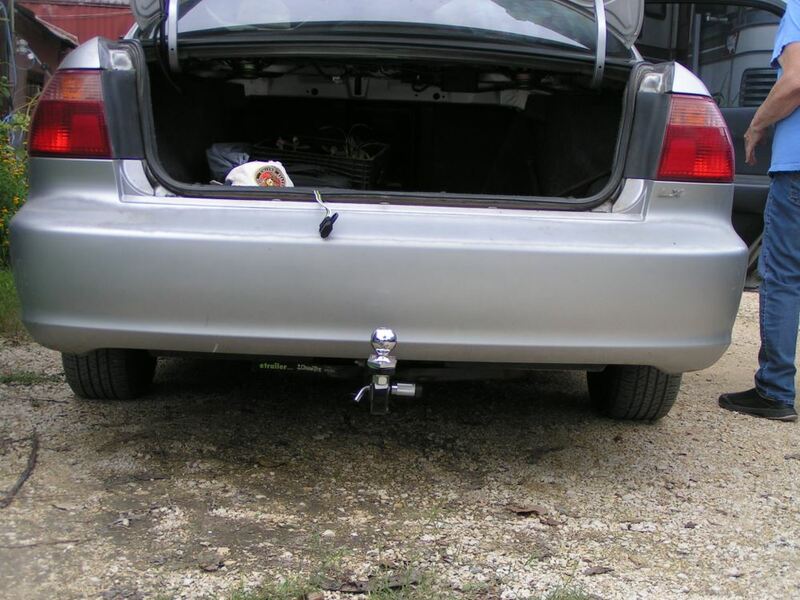 This is designed for inch and a quarter by inch a quarter trailer hitch receivers. It's going to offer a gross towing weight of 2,000 pounds with a maximum tongue weight of 200 pounds. When choosing a hitch ball, you want to make sure that the shank does not exceed the ball hole diameter. Which for this particular mount, it's going to measure 3 quarters of an inch. The distance that we have from the center of hitch pinhole to the center of the ball hole, it's going to give us a measurement of 11 and a half inches. From the center of the hitch pinhole to the back of the upright portion here, it's going to measure about 7 and a half inches to the base of the curve. Then from the back of the shank to the center of the hitch pinhole is going to measure an inch and a half. Again, you're going to have a 3 and 3 quarter inch rise. The overall length, measuring from end to end, it's going to give us a measurement of about 14and one quarter of an inch. That's going to do it for our review of part number C45023. This is the Curt Class 1 Drawbar. .
Order: RelevanceNewestRating - High to LowRating - Low to High Corrosion-resistant ball mount is 11-1/2" long and fits 1-1/4" x 1-1/4" trailer hitch receivers. Ball mount can be used in the rise position only. Excellent, it’s just what I needed.